The Internal Revenue Service has released the inflation-adjusted deduction limitations for annual contributions to health savings accounts in 2016. Revenue Procedure 2015-30 provides the 2016 inflation-adjusted HSA deduction limits, which are updated annually to reflect cost-of-living adjustments. For calendar year 2016, the annual limitation on deductions for an individual with self-only coverage under a high deductible health plan is $3,350. For calendar year 2016, the annual limitation on deductions for an individual with family coverage under a high deductible health plan is $6,750. Also for 2016, a “high deductible health plan” is defined as a health plan with an annual deductible that is not less than $1,300 for self-only coverage, or $2,600 for family coverage, and the annual out-of-pocket expenses (including deductibles, co-payments and other amounts, but not premiums) do not exceed $6,550 for self-only coverage or $13,100 for family coverage. 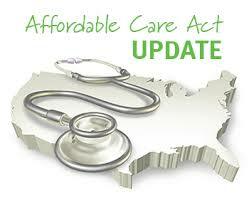 If the website headaches weren’t enough, now there appear to be problems with the health care reform tax credits. The IRS needs to strengthen systems development controls with the new tax credits, according to a new report from the Treasury Inspector General for Tax Administration (TIGTA). Beginning in January, eligible taxpayers who purchase health insurance through the Health Insurance Marketplace (an Exchange) may qualify for and request a refundable tax credit through the Premium Tax Credit (PTC) Project. 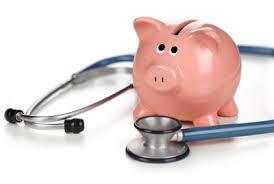 These credits can be used to help pay health insurance premiums. The credit is claimed on the taxpayer’s Federal tax return at the end of each coverage year. Because it is a refundable credit, taxpayers who have little or no income tax liability can still benefit. The PTC can also be paid in advance to a taxpayer’s health insurance provider to help cover the cost of premiums. This credit is referred to as the Advanced Premium Tax Credit. The IRS’s implementation plan for ACA Exchange provisions includes providing information that will support the Department of Health and Human Services and the Exchanges. TIGTA recommended that the IRS develop an action plan for resolving security test issues and that the Internal Revenue Manual be updated to provide specific guidance on how to identify and mitigate potential fraud risks with the design, development, and testing of the new information technology systems that must be implemented to meet ACA requirements. What does this mean? First some background. 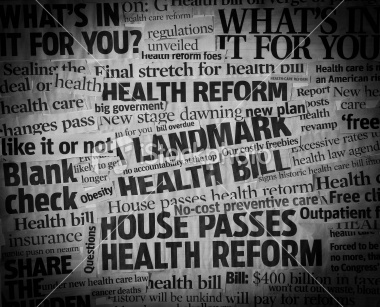 Several months ago we ran a series of Tax Tips regarding the new Healthcare Bill. One of the Tax Tips explained that starting in 2011 it would be required that employers show the cost of employer-sponsored group health costs on the employees W-2. With this new Notice, the IRS is making it optional to report group health care costs in 2011. The IRS is acknowledging that it may take some employers more time to get into compliance on this reporting requirement. Is this just the first “push back” change against the Healthcare Bill?